A war correspondent is a journalist who covers stories firsthand from a war zone, they were also called special correspondents. Only some conflicts receive extensive worldwide coverage, however, among recent wars, the Kosovo War received a great deal of coverage, as did the Persian Gulf War. In contrast, the largest war in the last half of the 20th century, the Iran–Iraq War, received far less substantial coverage, this is typical for wars among less-developed countries, as audiences are less interested and the reports do little to increase sales and ratings. The lack of infrastructure makes reporting more difficult and expensive, and the conflicts are also far more dangerous for war correspondents. Battle council on the De Zeven Provinciën by Willem van de Velde the Elder. 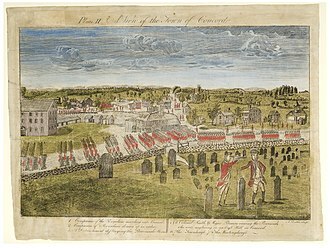 The prelude to the Four Days Battle in 1666. Written war correspondents have existed as long as journalism, before modern journalism it was more common for longer histories to be written at the end of a conflict. The first known of these is Herodotus's account of the Persian Wars, however he did not himself participate in the events. Thucydides, who some years later wrote a history of the Peloponnesian War was a commander and an observer to the events he described. In the eighteenth century the Baroness Frederika Charlotte Riedesel's Letters and Journals Relating to the War of the American Revolution and the Capture of the German Troops at Saratoga is regarded as the first account of war by a woman. Her description of the events that took place in the Marshall House are particularly poignant because she was in the midst of battle. The first modern war correspondent is said to be Dutch painter Willem van de Velde, who in 1653 took to sea in a small boat to observe a naval battle between the Dutch and the English, of which he made many sketches on the spot, which he later developed into one big drawing that he added to a report he wrote to the States General. A further modernization came with the development of newspapers and magazines. One of the earliest war correspondents was Henry Crabb Robinson, who covered Napoleon's campaigns in Spain and Germany for The Times of London. Another early correspondent was William Hicks whose letters describing the Battle of Trafalgar (1805) were also published in The Times. Early film and television news rarely had war correspondents. Rather, they would simply collect footage provided by other sources, often the government, and the news anchor would then add narration, this footage was often staged as cameras were large and bulky until the introduction of small, portable motion picture cameras during World War II. The situation changed dramatically with the Vietnam War when networks from around the world sent cameramen with portable cameras and correspondents, this proved damaging to the United States as the full brutality of war became a daily feature on the nightly news. The discourse in mediated conflicts[clarification needed] is influenced by its public character. By forwarding information and arguments to the media, conflict parties attempt to use the media influence to gain support from their constituencies and persuade their opponents, the continued progress of technology has allowed live coverage of events via satellite up-links. The rise of twenty-four hour news channels has led to a heightened demand for coverage. William Howard Russell, who covered the Crimean War, also for The Times, is often described[by whom?] as the first modern war correspondent. The stories from this era, which were almost as lengthy and analytical as early books on war, took numerous weeks from being written to being published. Another renowned journalist, Ferdinando Petruccelli della Gattina, Italian correspondent of European newspapers such as La Presse, Journal des débats, Indépendance Belge and The Daily News, was known for his extremely gory style in his articles but involving at the same time. Jules Claretie, critic of Le Figaro, was amazed about his correspondence of the Battle of Custoza, during the Third Italian War of Independence. Claretie wrote, "Nothing could be more fantastic and cruelly true than this tableau of agony. Reportage has never given a superior artwork." Western military attachés and war correspondents with the Japanese forces after the Battle of Shaho in 1904. 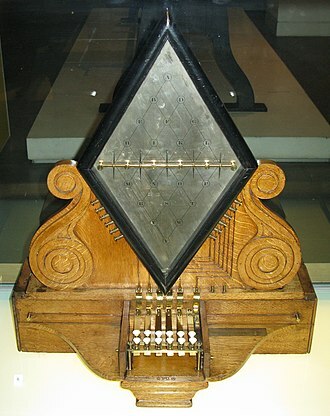 It was not until the telegraph was developed that reports could be sent on a daily basis and events could be reported as they occurred that the short mainly descriptive stories of today became common. Press coverage of the Russo-Japanese War was affected by restrictions on the movement of reporters and strict censorship; in all military conflicts which followed this 1904-1905 war, close attention to more managed reporting was considered essential. 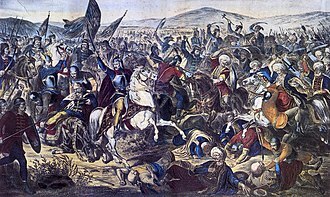 The First Balkan War (1912-1913) between the Balkan League (Serbia, Greece, Montenegro and Bulgaria) and the Ottoman Empire, and the Second Balkan War (1913) between Bulgaria and its former allies Serbia and Greece, was actively covered by a large number of foreign newspapers, news agencies, and movie companies. An estimated 200-300 war correspondents, war photographers, war artists, and war cinematographers were active during these two nearly sequential conflicts. The First World War was characterized by rigid censorship. British Lord Kitchener hated reporters, and they were banned from the Front at the start of the war, but reporters such as Basil Clarke and Philip Gibbs lived as fugitives near the Front, sending back their reports. The Government eventually allowed some accredited reporters in April 1915, and this continued until the end of the war, this allowed the Government to control what they saw. French authorities were equally opposed to war journalism, but less competent (criticisms of the French high command were leaked to the press during the Battle of Verdun in 1916). 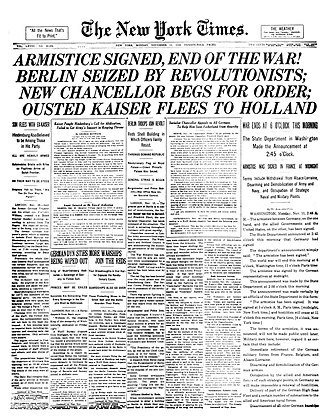 By far the most rigid and authoritarian regime was imposed by the United States, though General John J. Pershing allowed embedded reporters (Floyd Gibbons had been severely wounded at the Battle of Belleau Wood in 1918). The US conflict in Vietnam saw the tools and access available to war correspondents expanded significantly. Innovations such as cheap and reliable hand-held color video cameras, and the proliferation of television sets in Western homes give Vietnam-era correspondents the ability to portray conditions on the ground more vividly and accurately than ever before. 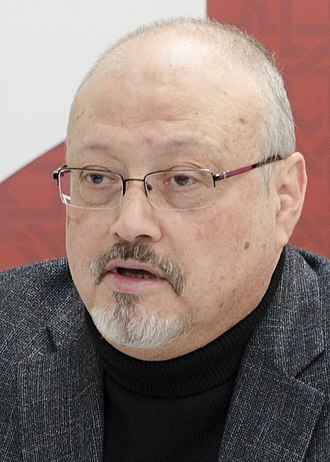 Additionally, the US Military allowed unprecedented access for journalists, with almost no restrictions on the press, unlike in previous conflicts. These factors produced military coverage the likes of which had never been seen or anticipated, with explicit coverage of the human suffering produced by the war available right in the livingrooms of everyday people. Vietnam-era war correspondence was markedly different from that of WWI and WWII, with more focus on investigative journalism and discussion of the ethics surrounding the war and America's role in it. Reporters from dozens of media outlets were dispatched to Vietnam, with the number of correspondents surpassing 400 at the peak of the war. Vietnam was a dangerous war for these journalists, and 68 would be killed before the conflict came to a close. Many within the US Government and elsewhere would blame the media for the American failure in Vietnam, claiming that media focus on atrocities, the horrors of combat and the impact on soldiers damaged moral and eliminated support for the war at home. Unlike in older conflicts, where Allied journalism was almost universally supportive of the war effort, journalists in the Vietnam theater were often harshly critical of the US military, and painted a very bleak picture of the war; in an era where the media was already playing a significant role in domestic events such as the Civil Rights Movement, war correspondence in Vietnam would have a major impact on the American political scene. Some have argued that the conduct of war correspondents in Vietnam is to blame for the tightening of restrictions on journalists by the US in wars that followed, including the Persian Gulf war and the conflicts in Iraq and Afghanistan. The role of war correspondents in the Gulf War would prove to be quite different from their role in Vietnam. The Pentagon blamed the media for the loss of the Vietnam war, and prominent military leaders did not believe the United States could sustain a prolonged and heavily televised war. As a result, numerous restrictions were placed on the activities of correspondents covering the war in the Gulf. 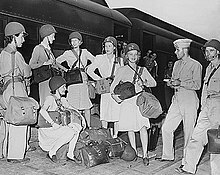 Journalists allowed to accompany the troops were organized into "pools", where small groups were escorted into combat zones by US troops and allowed to share their findings later, those who attempted to strike out on their own and operate outside the pool system claim to have found themselves obstructed directly or indirectly by the military, with passport visas revoked and photographs and notes taken by force from journalists while US forces observed. Beyond military efforts to control the press, observers noted that press reaction to the Gulf War was markedly different from that of Vietnam. 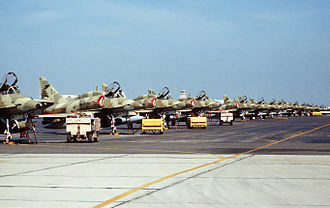 Critics claim that coverage of the war was "jingoistic" and overly favorable towards American forces, in harsh contrast to the criticism and muckraking that had characterized coverage of Vietnam. Journalists like CNN's Peter Arnett were lambasted for reporting anything that could be construed as contrary to the war effort, and commentators observed that coverage of the war in general was "saccharine" and heavily biased towards the American account. These trends would continue into the Afghanistan and Iraq wars, where the pool model was replaced by a new system of embedded journalism. Henry Crabb Robinson, Germany and Spain (1807–1809). Peter Finnerty, Walcheren Campaign (1809). Thomas William Bowlby, North China Campaign (1860). Winston Churchill (1874–1965); covered the Siege of Malakand, the Mahdist War and the Second Boer War. Kit Coleman (1864–1915), female war correspondent who covered the Spanish–American War for the Toronto Mail in 1898. George Wingrove Cooke, Second Opium War, 1857–1858. Stephen Crane (1871–1900); covered the 1897 Greco-Turkish War, where he contracted tuberculosis. Richard Harding Davis (1864–1916); covered the Spanish–American War, Second Boer War and the fighting on the Macedonian front during World War I.
John F. Finerty was a war correspondent for the Chicago Times covering the Great Sioux War of 1876–1877. Robert Edmund Strahorn was a fighting war correspondent in The Great Sioux War of 1876–1877. Some of them became authors of fiction drawing on their war experiences, including Davis, Crane and Hemingway. Kate Adie (born 1945); covered the Gulf War, Yugoslav Wars, Rwandan Genocide and the Sierra Leone Civil War. Peter Arnett (born 1934); covered the Vietnam War, 1991 Gulf War, the 2001 Invasion of Afghanistan and the 2003 Iraq War. 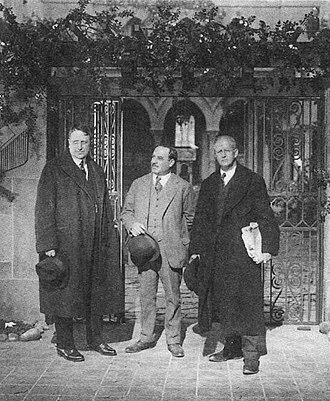 Ellis Ashmead-Bartlett (1881–1931); covered the Russo-Japanese War and World War I.
Martin Bell (born 1938); covered the Vietnam War, Biafra War, The Troubles in Northern Ireland, the Angolan Civil War and the Bosnian War. Michael Birch (1944–1968); killed in Saigon during Tet while covering the Vietnam War. Bill Boss (1917–2007); Canadian war correspondent, for the Canadian Press, who covered World War II. Marvin Breckinridge Patterson (1905–2002); covered World War II. Wilfred Burchett (1911–1983); covered the Pacific War, Korean War and Vietnam War. Edgar Rice Burroughs; WWII—covered the attack on Pearl Harbor. Became one of the oldest war correspondents ever. Larry Burrows (1927–1971); British photojournalist famous for his work in the Vietnam War. Killed in a helicopter crash over Laos with three colleagues. 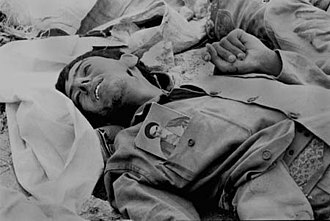 Robert Capa (1913–1954); covered the Spanish Civil War, Second Sino-Japanese War, the European Theatre of World War II and the First Indochina War (where he was killed by a landmine). Dickey Chapelle (1918–1965); covered the Pacific War, the 1956 Hungarian Revolution and the Vietnam War (where she was killed by a landmine). She was the first female US war correspondent to be killed in action. Gaston Chérau (Niort (France) 1872 - Boston (USA) 1937). French war correspondent and photograph for Le Matin during the italo-turkish war over Libya (1911-1912) and for L'Illustration at the beginning of World War I (1914-1915). See : Pierre Schill, Réveiller l’archive d’une guerre coloniale. Photographies et écrits de Gaston Chérau, correspondant de guerre lors du conflit italo-turc pour la Libye (1911-1912), Créaphis, 2018, 480p.et 230 photographies. Greg Clarke (1892–1977); Canadian war correspondent who covered World War I and II. Basil Clarke (1879–1947); covered the fighting on the Western Front during WWI, living as a fugitive in Dunkirk during the early part of the War and then as an accredited reporter at the Battle of the Somme in late 1916. he also covered the Eastern Front and the Easter Rising and later became the UK's first public relations officer. Marie Colvin; considered one of the most influential correspondents of past 20 years, killed in Homs, Syria. Anderson Cooper (1967); war correspondent for CNN who covered Somalia, Bosnia, and Rwanda. Tim Judah (1962); covered El Salvador, Romanian Revolution, Yugoslavia, Croatia, Bosnia, Kosovo, Afghanistan, Darfur, Iraq, Ukraine. Burton Crane (1901–1963); covered occupied Japan after World War II and the Korean War for The New York Times. Walter Cronkite (1916–2009); covered the European Theater during World War II for United Press. Neil Davis; Australian combat cameraman covered the Vietnam War, Cambodia and Laos and subsequently conflicts in Africa. He was killed in 1985 in Thailand. Frank Palmos (1940–); Vietnam War 1965–1968, Indonesian Civil War 1965–66. Bill Downs (1914–1978); one of the "Murrow Boys" who covered the Eastern Front, the Normandy landings, and later covered the Korean War. Kurt Eggers (1905–1943); World War II SS correspondent, editor of the SS magazine Das Schwarze Korps, was killed while reporting on the Wiking's battles near Kharkov. The German SS-Standarte Kurt Eggers was named in his honor. Gloria Emerson (1929–2004); covered the Vietnam War for The New York Times in 1970–72 and wrote the award-winning book "Winners and Losers". Horst Faas (1933–2012); Associated Press Saigon Photographer, two Pulitzer Prices, co author "Lost Over Laos", "Requiem", "Henri Huet". Covered the Congo War, Algeria, Vietnam, Bangladesh. 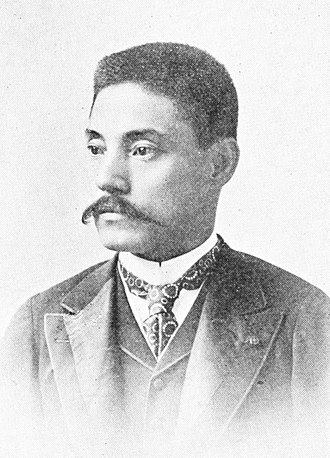 Bernard B. Fall; (1926–1967); covered the First Indochina War and the Vietnam War (where he was killed by a landmine). Sylvana Foa; correspondent in Vietnam and Cambodia. J. C. Furnas; covered World War II. Joseph L. Galloway (born November 13, 1941); UPI correspondent in Vietnam and co-author of We Were Soldiers Once...and Young. Martha Gellhorn (1908–1998); covered the Spanish Civil War, World War II, Vietnam War, the Six-Day War, and the U.S. invasion of Panama. Lothar-Günther Buchheim (1918–2007); covered Kriegsmarine patrols during the World War II, most notably the famous U-96 seventh patrol in the Battle of the Atlantic which was eventually taken as basis for the Oscar nominated movie and mini-series Das Boot ("The Boat"). Georgie Anne Geyer (born 1935); covered the Guatemalan Civil War and the Algerian Civil War. Philip Gibbs; Official war Correspondent for Britain during World War I.
Robert Goralski; NBC News correspondent. Covered the Vietnam War; provided witness testimony in the My Lai massacre trials. Al Gore (born 1948); covered the Vietnam War. Henry Tilton Gorrell (1911–1958); United Press correspondent. Covered the Spanish Civil War and World War II. Author of "Soldier of the Press, Covering the Front in Europe and North Africa, 1936–1943" in 2009. Cork Graham (born 1964); imprisoned in Vietnam for illegally entering the country while looking for treasure buried by Captain Kidd. Louis Grondijs (1878–1961); covered Russo-Japanese War, World War I, the Russian Civil War, the Japanese invasion of Manchuria and the Spanish Civil War. Philip Jones Griffiths (1936–2008); British photojournalist who covered the Vietnam War. Corra Harris; early women correspondent in World War I.
David Halberstam (1934–2007); American journalist, The New York Times. Covered the war in the Congo and the Vietnam War for which he won the Pulitzer Prize. Ernest Hemingway (1899–1961); covered the 1922 Catastrophe of Smyrna in Turkey, the Spanish Civil War and World War II. Michael Herr (1940–2016); American writer for Esquire in the Vietnam War (1967–68). Book: Dispatches, Screenplay: Full Metal Jacket Voice-over narration for Apocalypse Now. Marguerite Higgins; paved the way for female war correspondents. Clare Hollingworth; covered World War II, Algerian War, Vietnam War, Bangladesh Liberation War (1971). Vicente Huidobro covered World War II in Europe. Helen Kirkpatrick (1909–1997); covered World War II including The Blitz, Normandy Invasion and Liberation of France. Gary Knight (1964); British photojournalist. Covered conflicts in: Yugoslavia, Iraq, Afghanistan war. Tom Lea (1907–2001); Life painter and correspondent in both the European and Pacific theaters with the US Navy and the US 1st Marine Division. Catherine Leroy (1945–2006); French freelance photographer, covered the Vietnam War. Jacques Leslie; Cambodian–Vietnamese War correspondent for the Los Angeles Times, 1972–1973, 1975. Leslie was the first American journalist to enter and return from Viet Cong (National Liberation Front) territory in South Vietnam, in January 1973. Larry LeSueur; CBS radio correspondent, reported from rooftops during World War II London blitzes, went ashore in the first waves of the D-Day invasion, and broadcast to America the Allied liberation of Paris. One of the "Murrow Boys". Jean Leune (1889–1944); and Hélène Vitivilia Leune (?–1940), French war correspondents who as a married couple covered the First Balkan War in Greece 1912–1913. Jim G. Lucas; Scripps-Howard Newspapers, reported human interest stories from the front lines in World War II, Korea and Vietnam. Alexander Gault MacGowan (1894–1970); correspondent for The Sun (New York), reported from the front lines in World War II. Don McCullin; British photographer. Covered conflicts in Northern Ireland, Vietnam, Biafra. Steve McCurry (1950); American photographer. Covered Cambodian Civil War, Afghanistan, Pakistan, Lebanon, Gulf War. Member of Magnum Photos. Jim McGlincy (1917–1988); United Press correspondent, covered World War II in London and the postwar conflict in French Indochina. Alan Moorehead; Australian reporter, covered World War II with units of General Bernard Montgomery, author of several books on the war. Joseph Morton (born in 1911 or 1913, died in 1945); Associated Press war correspondent, the first American correspondent to be executed by the enemy during World War II. Edward R. Murrow (1908–1965); Covered the Blitz in London and the European Theater during World War II for CBS News. Hired a team of foreign correspondents for CBS News who became known as the "Murrow Boys". James Nachtwey (1948); American photographer. Covered Northern Ireland, South Africa, Iraq, Sudan, Indonesia, India, Rwanda, Chechnya, Pakistan, Kosovo, Bosnia, Romania, Afghanistan, Israel. George Sessions Perry (1910–1956); Writer who covered WWII for Harper's Weekly and the Saturday Evening Post. Accompanied troops on invasions of Italy and France. Said after the war that his war experiences "de-fictionalized" him for life and never wrote fiction again. Roy Pinney (1911–2010); covered World War II and was present at the Normandy landing on D-Day for the Normandy Invasion. He also covered the Yom Kippur War in the Gaza Strip and conflicts in Afghanistan, the Philippines, South Africa and Colombia. Jessie Pope; was a pro war journalist and poet during the first world war. Dan Rather; Covered Vietnam War for CBS News for several months in 1966–67. John Rich (1917–2014); American journalist. Covered World War II, the Korean War, and the Vietnam War for NBC News. Derek Round (1935–2012); Covered the Vietnam War. Morley Safer; Covered Vietnam War for CBS News in 1965 and made documentary film, Morley Safer's Vietnam. Peter Scholl-Latour (1922–2014); German journalist who covered conflicts in Africa and Asia, Algeria, Vietnam, Angola, Israel, Iraq, Iran, Cambodia, etc. Author of 30 books. William L. Shirer; Covered WWII for CBS News, one of the "Murrow Boys", and the author of "The Rise and Fall of the Third Reich", a scholarly history. Vaughan Smith (1963); British cameraman, covered Afghanistan, Iraq, Bosnia, Chechnya, Kosova, Gulf War. Karsten Thielker (1966); German photojournalist. Covered Rwanda Genocide, Kosovo. 1995 Pulitzer Prize. Richard Tregaskis; author of Guadalcanal Diary, dramatized in movie of same name. Kate Webb (1943–2007); covered the Vietnam and Cambodian wars for UPI; captured by the North Vietnamese in Cambodia in 1971 and held for three weeks; covered East Timor war. Later Gulf War, Indonesia, Afghanistan for AFP. Paul Wood; BBC defense correspondent in the Middle East covering the Arab World since 2003. Simon Dring; British correspondent for Reuters, London Daily Telegraph, BBC-TV News; covered wars/revolutions in Laos, Vietnam, Cambodia, Biafra, Cyprus, Angola, Eritrea, India-Pakistan, Bangladesh, Iran, Bosnia, Middle East. Martin Adler (1958–2006) Swedish video journalist, killed in Mogadishu, Somalia. Covered the Gulf War, Liberia, Rwanda, Sierra Leone. Jon Lee Anderson covered the wars in Afghanistan, Iraq, Uganda, Israel, El Salvador, Ireland, Lebanon and Iran. Robert Fisk (1946), British journalist, covered Northern Ireland conflict, Algerian Civil War, Beirut, Bosnia, Afghanistan, Lebanese Civil War, Iranian Revolution, Iran–Iraq War, the 1991 Persian Gulf War, Kosovo War and the 2003 Iraq War. Tim Hetherington (1970–2011) British Photographer and documentary filmmaker, covered Afghanistan, Liberia and was killed in Libya. Chris Hondros (1970–2011) American photographer, covered conflicts in Liberia, Angola, Sierra Leone, Kosovo and was killed in Misrata, Libya, in 2011. Gilles Jacquier (1968–2012) French cameraman for France 2 Television. He was the first reporter killed in Syrian Civil War. Terry Lloyd (1952–2003), British television journalist, covered the Middle East. He was killed by U.S. troops while covering the 2003 invasion of Iraq for ITN. Kenji Nagai (1957–2007) Japanese photographer. Covered Afghanistan War. Kenji was killed in Yangon, Burma. Robert Young Pelton, best known for his 1,000+ page guide to warzones and survival, The World's Most Dangerous Places. Michael Ware (born 1969); ongoing coverage of the invasion and occupation of Iraq. Reporting from the perspectives of all combatant groups. Olivier Weber covered the Iraq War, the War in Afghanistan (2001–present), in Israel, Iran, Eritrea, Algeria, Pakistan and a dozen other conflicts. Tolstoy, Leo (1855). Sevastopol Sketches. Herr, Michael (1978). Dispatches. Knopf. OCLC 3732647. Previous ed. also available. Weber, Olivier (2002). Afghan Eternities. Le Chene/UNESCO (with Reza). Hedges, Chris (2002). War Is a Force That Gives Us Meaning. PublicAffairs. ISBN 1-58648-049-9. Filkins, Dexter (2008). The Forever War. Alfred A. Knopf. ISBN 9780307266392. OCLC 213407458. ^ a b "Olivier Weber". radionz.co.nz. 3 December 2016. Archived from the original on 5 March 2018. Retrieved 24 April 2018. ^ "Rare Royal Naval uniform of Battle of Trafalgar survivor William Hicks goes on display - Daily Mail Online". Mail Online. Archived from the original on 2011-10-23. ^ Kepplinger, Hans Mathias et al. "Instrumental Actualization: A Theory of Mediated Conflicts," Archived 2016-03-05 at the Wayback Machine. European Journal of Communication, Vol. 6, No. 3, 263-290 (1991). ^ Walker, Dale L. "Jack London's War." Archived 2012-10-17 at the Wayback Machine. World of Jack London website. ^ a b c d e Mitchell, Bill (December 9, 2002). "When a Journalist Goes to War". Archived from the original on December 17, 2015. Retrieved December 10, 2015. ^ a b c Hammond, William (1998). Reporting Vietnam: Media & Military at War (vol. 1). University Press of Kansas. ^ a b "The war without end is a war with hardly any news coverage". www.niemanwatchdog.org. Archived from the original on 2015-12-22. Retrieved 2015-12-11. ^ a b Hallin, Daniel (1986). The Uncensored War : The Media and the Vietnam War. Oxford University Press. ISBN 0198020864. 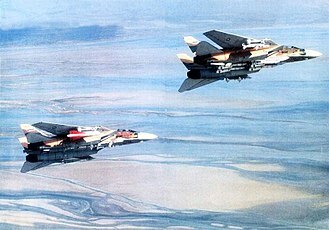 ^ a b "The persian gulf war - Television". www.americanforeignrelations.com. Archived from the original on 2015-12-07. Retrieved 2015-12-11. ^ a b Bennett, W. Lance; Paletz, David L. (1994). Taken by Storm: The Media, Public Opinion, and U.S. Foreign Policy in the Gulf War. University of Chicago Press. ISBN 0226042596. ^ "Opinion - Flawed Justice for the Butcher of Bosnia". New York Times. 22 November 2017. Archived from the original on 14 April 2018. Retrieved 24 April 2018. 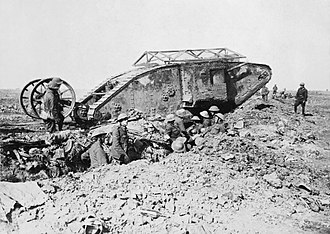 Wikimedia Commons has media related to War correspondents. "A statistical analysis of journalists killed in Iraq since hostilities began in March 2003"
It may imply the glorification of the military and of the ideals of a professional military class and the predominance of the armed forces in the administration or policy of the state. Militarism has been a significant element of the imperialist or expansionist ideologies of several nations throughout history, after World War II, militarism appeared in many of the post-colonial nations of Asia and Africa. Sŏngun, North Koreas Military First policy, regards military power as the highest priority of the country and this has escalated so much in the DPRK that one in five people serves in the armed forces, and the military has become one of the largest in the world. Songun elevates the Korean Peoples Armed Forces within North Korea as an organization and as a function, granting it the primary position in the North Korean government. The principle guides domestic policy and international interactions and it provides the framework of the government, designating the military as the supreme repository of power. It facilitates the militarization of non-military sectors by emphasizing the unity of the military, the North Korean government grants the Korean Peoples Army as the highest priority in the economy and in resource-allocation, and positions it as the model for society to emulate. Songun is the concept behind a shift in policies which emphasize the peoples military over all other aspects of state. The roots of German militarism can be found in 19th-century Prussia, after Napoleon Bonaparte conquered Prussia in 1806, one of the conditions of peace was that Prussia should reduce its army to no more than 42,000 men. 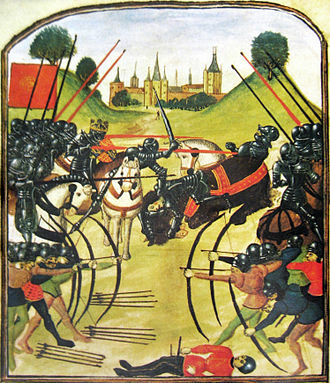 Thus, in the course of ten years, he was able to gather an army of 420,000 men who had at least one year of military training, the officers of the army were drawn almost entirely from among the land-owning nobility. The result was there was gradually built up a large class of professional officers on the one hand, and a much larger class. These enlisted men had become conditioned to obey all the commands of the officers. This system led to several consequences, a second result was that the governing class desired to continue a system which gave them so much power over the common people, contributing to the continuing influence of the Junker noble classes. Militarism in Germany continued after World War I and the fall of the German monarchy, during the period of the Weimar Republic, the Kapp Putsch, an attempted coup détat against the republican government, was launched by disaffected members of the armed forces. 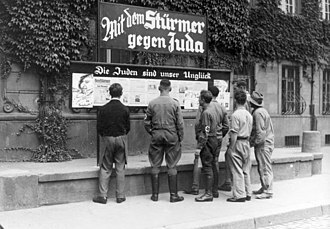 After this event, some of the more radical militarists and nationalists were submurged in grief and despair into the NSDAP, the Third Reich was a strongly militarist state, after its fall in 1945, militarism in German culture was dramatically reduced as a backlash against the Nazi period. Contemporary opinions vary but Germans predominantly oppose unilateral military actions and are suspicious of all claims advocating them, in parallel with 20th-century German militarism, Japanese militarism began with a series of events by which the military gained prominence in dictating Japans affairs. The Peninsular War was a military conflict between Napoleons empire and the allied powers of Spain and Portugal, for control of the Iberian Peninsula during the Napoleonic Wars. 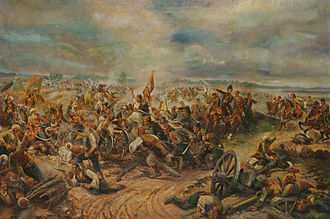 The war started when French and Spanish armies invaded and occupied Portugal in 1807, the Peninsular War overlaps with what the Spanish-speaking world calls the Guerra de la Independencia Española, which began with the Dos de Mayo Uprising on 2 May 1808 and ended on 17 April 1814. The French occupation destroyed the Spanish administration, which fragmented into quarrelling provincial juntas, the British Army, under the Lt. Gen. Arthur Wellesley, guarded Portugal and campaigned against the French in Spain alongside the reformed Portuguese army. The demoralised Portuguese army was reorganised and refitted under the command of Gen, in the following year Wellington scored a decisive victory over King Josephs army at Vitoria. The years of fighting in Spain were a burden on Frances Grande Armée. 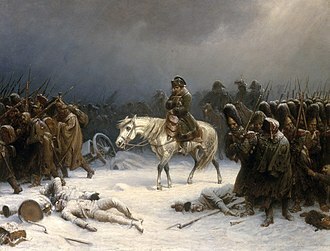 The Spanish armies were beaten and driven to the peripheries. This drain on French resources led Napoleon, who had provoked a total war. War and revolution against Napoleons occupation led to the Spanish Constitution of 1812, the burden of war destroyed the social and economic fabric of Portugal and Spain, and ushered in an era of social turbulence, political instability and economic stagnation. 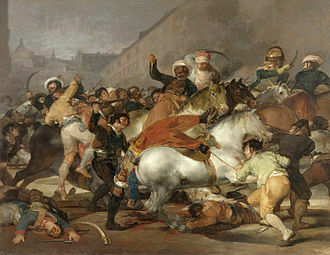 Devastating civil wars between liberal and absolutist factions, led by officers trained in the Peninsular War, persisted in Iberia until 1850. 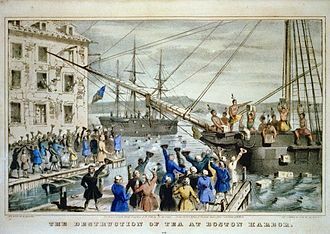 The cumulative crises and disruptions of invasion and restoration led to the independence of most of Spains American colonies, the Treaties of Tilsit, negotiated during a meeting in July 1807 between Emperors Alexander I of Russia and Napoleon, concluded the War of the Fourth Coalition. With Prussia shattered, and Russia allied with France, Napoleon expressed irritation that Portugal was open to trade with the United Kingdom, Prince John of Braganza, regent for his insane mother Queen Maria I, had declined to join the emperors Continental System against British trade. After a few days, a large force started concentrating at Bayonne, meanwhile the Portuguese governments resolve was stiffening, and shortly afterward Napoleon was once again told that Portugal would not go beyond its original agreements. After he received the Portuguese answer, he ordered Junots corps to cross the frontier into Spain, while all this was going on, the secret Treaty of Fontainebleau had been signed between France and Spain. The document was drawn up by Napoleons marshal of the palace Géraud Duroc and Eugenio Izquierdo, the treaty proposed to carve up Portugal into three entities. Porto and the part was to become the Kingdom of Northern Lusitania. The southern portion, as the Principality of the Algarves, would fall to Godoy, the rump of the country, centered on Lisbon, was to be administered by the French. According to the Treaty of Fontainebleau, Junots invasion force was to be supported by 25,500 men in three Spanish columns, Gen. Taranco and 6,500 troops were ordered to march from Vigo to seize Porto in the north. The Balkans had been in a state of turmoil since the early 1900s, with years of guerrilla warfare in Macedonia followed by the Young Turk Revolution and the protracted Bosnian Crisis. The outbreak of the Italo-Turkish War in 1911 had further weakened the Ottomans, Serbia signed a mutual alliance with Montenegro, while Bulgaria did the same with Greece. The League was victorious in the First Balkan War which broke out in October 1912, after the Crimean War, Russia realized that the other Great Powers would spare no effort to prevent her from gaining access to the Mediterranean. As a consequence she started engineering a plan for indirect expansion through the creation of friendly and closely allied states under Russian patronage in the Balkan peninsula. Instrumental to this policy was the emerging Panslavic movement, which formed the basis of Russian foreign policy up until the end of the Tsarist regime in 1917. Working in this direction, following the victorious Russo-Turkish War of 1877–1878, after saving Serbia from annihilation at the Turks hands in 1876, Russia forced the Ottomans to accept a full independent and expanded Serbia two years later. However, although both states acknowledged Russian patronage and protection, their national aspirations soon led to a series of hostile actions before. Consequently, Russian diplomacy began pressuring the two countries and Bulgaria, to reach a compromise and form an alliance, apart from the Russian pressure upon Bulgaria and Serbia, another issue that triggered the formation of the League was the Albanian Uprising of 1911. 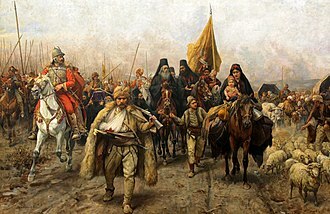 The timetable of the negotiations between Serbia and Bulgaria indicates that progress paralleled the success of the Albanian revolt, in May 1912 the Albanians succeeded in taking Skopje and continued towards Monastir, forcing the Ottomans to recognize the autonomy of Albania in June 1912. The Serbs now had to struggle against time to avoid the establishment of the Albanian state, on the other hand, Bulgaria used this Serbian anxiety in order to force Serbia to agree to significant concessions in regard to Vardar Macedonia. Serbias expansion was to be to the north of line, including Kosovo, and west to the Adriatic coast. Bulgaria, on her part, had held a policy regarding the Ottomans since restoring her independence during the Russo-Turkish War. IMROs rhetoric claimed to be speaking generally for liberation on behalf of the “Macedonian People”, the conflict ended only when the Young Turks movement came to power, promising reforms and equality of all Ottoman subjects regardless of religion or nationality. Bulgaria turned to the direct method of expansion through winning a war, building a large army for that purpose. 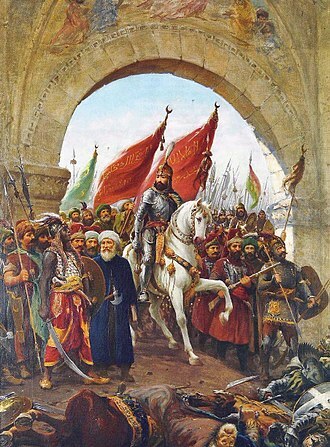 But even so, it was clear that Bulgaria could not win a war against the Ottomans alone, and an alliance was necessary. In the discussions that led Greece to join the League, Bulgaria refused to commit to any agreement on the distribution of territorial gains, unlike the deal with Serbia over Vardar Macedonia. The reason was Bulgarias diplomatic policy of pushing Serbia into an agreement limiting her access to Macedonia, as the Greek ambassador to Sofia had put it during the negotiations that led to Greeces entry in the League, Greece can provide 600,000 men for the war effort. 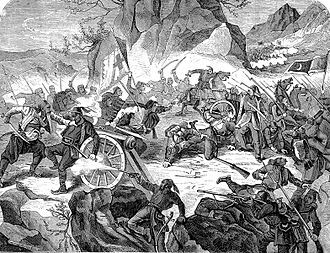 The Third Italian War of Independence was a conflict which paralleled the Austro-Prussian War, and was fought between the Kingdom of Italy and the Austrian Empire. Victor Emmanuel II of Savoy had been crowned King of Italy on March 17,1861, but did not control Venetia and the much reduced Papal States. The situation of the Irredente was a source of tension in the domestic politics of the newly created Kingdom. The first attempt to seize Rome was orchestrated by Giuseppe Garibaldi in 1862, confident in the Kings neutrality, he set sail from Genoa to Palermo. Collecting 1,200 volunteers, he sailed from Catania and landed at Melito, in Calabria, on August 24 to reach Mount Aspromonte, the Piedmontese General Enrico Cialdini, sent a division under Colonel Pallavicino to stop the volunteer army. Garibaldi himself was wounded in the battle, and taken prisoner along with his men. 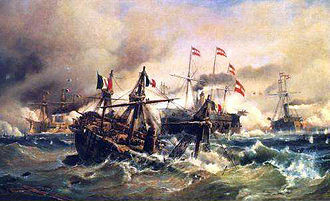 The increasing discord between Austria and Prussia over the German Question turned into war in 1866, offering Italy an occasion to capture Venetia. On April 8,1866 the Italian government signed an alliance with Prussia. Italian armies, led by General Alfonso Ferrero La Marmora, were to engage the Austrians on the southern front, taking advantage of their perceived naval superiority, the Italians planned to threaten the Dalmatian coast and seize Trieste. There were disputes among the chain of command as former enemies were now serving alongside one another, Prussia opened hostilities on 16 June 1866 by attacking several German states allied with Austria. Three days later, Italy declared war on Austria, starting operations on 23 June. La Marmora moved first through Mantua and Peschiera del Garda, but was defeated at the Battle of Custoza on 24 June and retreated disorderly back across the Mincio river. Cialdini, on the hand, did not act offensively for the first part of the war, conducting only several shows of force and failed to besiege the Austrian fortress of Borgoforte. Following the defeat at Custoza, the Italians reorganized in preparation for a presumed Austrian counter-offensive, the Austrians took this opportunity to raid Valtellina and Val Camonica. Thucydides was an Athenian historian and general. 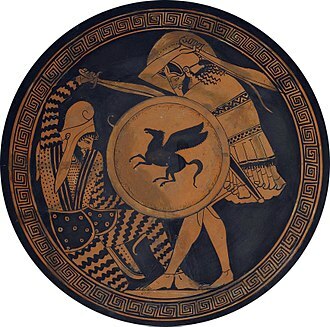 His History of the Peloponnesian War recounts the 5th century BC war between Sparta and Athens to the year 411 BC and his text is still studied at both universities and military colleges worldwide. The Melian dialogue remains a work of international relations theory while Pericles Funeral Oration is widely studied in political theory, history. 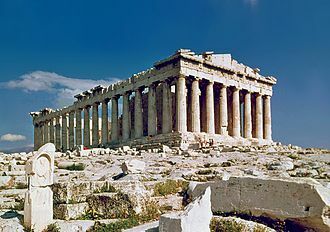 More generally, Thucydides showed an interest in developing an understanding of nature to explain behaviour in such crises as plague, massacres, as in that of the Melians. In spite of his stature as a historian, modern historians know relatively little about Thucydidess life, the most reliable information comes from his own History of the Peloponnesian War, which expounds his nationality and native locality. Thucydides informs us that he fought in the war, contracted the plague and was exiled by the democracy and he may have been involved in quelling the Samian Revolt. Thucydides identifies himself as an Athenian, telling us that his fathers name was Olorus and he survived the Plague of Athens that killed Pericles and many other Athenians. 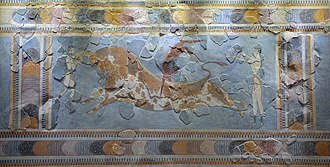 He records that he owned gold mines at Scapte Hyle, because of his influence in the Thracian region, Thucydides wrote, he was sent as a strategos to Thasos in 424 BC. 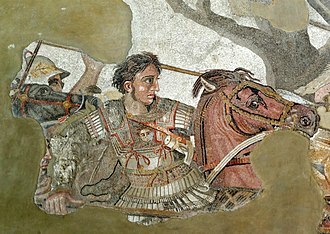 During the winter of 424–423 BC, the Spartan general Brasidas attacked Amphipolis, the Athenian commander at Amphipolis, sent to Thucydides for help. Thus, when Thucydides arrived, Amphipolis was already under Spartan control, Amphipolis was of considerable strategic importance, and news of its fall caused great consternation in Athens. It was blamed on Thucydides, although he claimed that it was not his fault, using his status as an exile from Athens to travel freely among the Peloponnesian allies, he was able to view the war from the perspective of both sides. During his exile from Athens, Thucydides wrote his most famous work History of the Peloponnesian War, because he was in exile during this time, he was free to speak his mind. This is all that Thucydides wrote about his own life, but a few facts are available from reliable contemporary sources. The History of the Peloponnesian War is a historical account of the Peloponnesian War, which was fought between the Peloponnesian League and the Delian League. It was written by Thucydides, an Athenian historian who happened to serve as an Athenian general during the war and his account of the conflict is widely considered to be a classic and regarded as one of the earliest scholarly works of history. The History is divided into eight books, analyses of the History generally occur in one of two camps. On the one hand, some view the work as an objective. 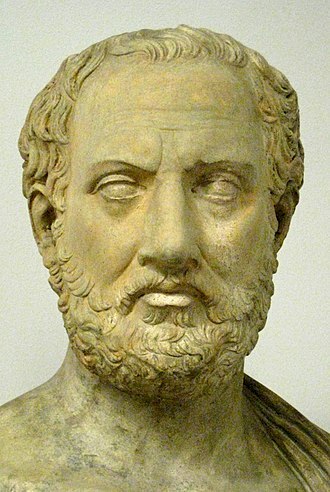 Thucydides is considered to be one of the fathers of Western history. Thucydides makes use of speeches in order to elaborate on the event in question. While the inclusion of long first-person speeches is somewhat alien to modern historical method and these include addresses given to troops by their generals before battles and numerous political speeches, both by Athenian and Spartan leaders, as well as debates between various parties. Of the speeches, the most famous is the funeral oration of Pericles, Thucydides undoubtedly heard some of these speeches himself while for others he relied on eyewitness accounts. Some of the speeches are probably fabricated according to his expectations of, as he puts it, despite being an Athenian and a participant in the conflict, Thucydides is often regarded as having written a generally unbiased account of the conflict with respect to the sides involved in it. In the introduction to the piece he states, my work is not a piece of writing designed to meet the taste of an immediate public, there are scholars, who doubt this. Ernst Badian, for example has argued that Thucydides has a strong pro-Athenian bias, the work does display a clear bias against certain people involved in the conflict, such as Cleon. The gods play no role in Thucydides work. This is very different from Herodotus, who mentions the role of the gods. Instead, Thucydides regards history as being caused by the choices, despite the absence of actions of the gods and piety play critical roles in the actions of the Spartans, and to a lesser degree, the Athenians. However, despite Thucydides lack of trust in information that was not experienced firsthand, such as Homers, he does use the poets epics to infer facts about the Trojan War. The Russo-Japanese War was fought between the Russian Empire and the Empire of Japan over rival imperial ambitions in Manchuria and Korea. The major theatres of operations were the Liaodong Peninsula and Mukden in Southern Manchuria and the seas around Korea, Russia sought a warm-water port on the Pacific Ocean for their navy and for maritime trade. Vladivostok was operational only during the summer, whereas Port Arthur, since the end of the First Sino-Japanese War in 1895, Japan feared Russian encroachment on its sphere of influence. Russia had demonstrated an expansionist policy in the Siberian Far East from the reign of Ivan the Terrible in the 16th century, through threat of Russian expansion, Japan offered to recognize Russian dominance in Manchuria in exchange for recognition of Korea as being within the Japanese sphere of influence. Russia refused and demanded Korea north of the 39th parallel to be a buffer zone between Russia and Japan. The Japanese government perceived a Russian threat to its strategic interests, after negotiations broke down in 1904, the Japanese Navy opened hostilities by attacking the Russian Eastern Fleet at Port Arthur, China, in a surprise attack. The war concluded with the Treaty of Portsmouth, mediated by US President Theodore Roosevelt, the complete victory of the Japanese military surprised world observers. The consequences transformed the balance of power in East Asia, resulting in a reassessment of Japans recent entry onto the world stage and it was the first major military victory in the modern era of an Asian power over a European one. Scholars continue to debate the historical significance of the war, after the Meiji Restoration in 1868, the Meiji government endeavored to assimilate Western ideas, technological advances and ways of warfare. By the late 19th century, Japan had transformed itself into an industrial state. The Japanese wanted to be recognized as equal with the Western powers, the Meiji restoration had always been intended to make Japan a modernized state, not a Westernized one, and Japan was always an imperialist power, looking towards overseas expansionism. By the 1890s it had extended its realm across Central Asia to Afghanistan, the Russian Empire stretched from Poland in the west to the Kamchatka Peninsula in the east. 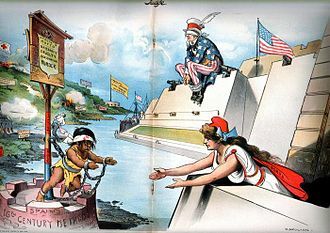 An American cartoon published in Judge, February 6, 1897: Columbia (representing the American people) reaches out to the oppressed Cuba (the caption under the chained child reads "Spain's 16th Century methods") while Uncle Sam (representing the U.S. government) sits blindfolded, refusing to see the atrocities or use his guns to intervene (cartoon by Grant E. Hamilton). "Yellow journalism" cartoon about Spanish–American War of 1898. 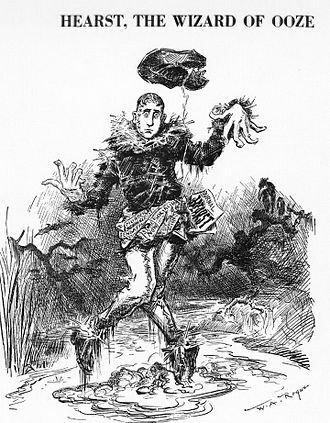 The newspaper publishers Joseph Pulitzer and William Randolph Hearst are both attired as the Yellow Kid comics character of the time, and are competitively claiming ownership of the war. A memorial to Willem van de Velde the Older and the Younger in St James's Church, Piccadilly. Wendela Hebbe, drawing by Maria Röhl 1842. Allegory of Venice (lion) hoping to join Italy (woman). Chinese generals in Pyongyang surrender to the Japanese, October 1894. 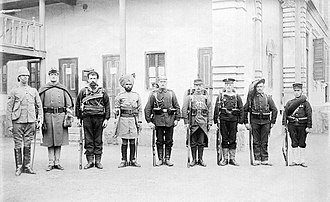 Troops of the Eight-Nation Alliance in 1900. Left to right: Britain, United States, Australia, India, Germany, France, Austria-Hungary, Italy, Japan. "The dangers of war reporting – Two camera operators who had a close call," Le Petit Journal (Paris), 3 November 1912, p. 352. 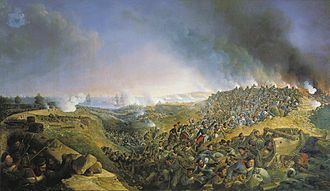 "Bulgarians overrun the Ottoman positions à la bayonette", by the Czech painter Jaroslav Věšín. The Bosnian Crisis of 1908 altered the balance of power in the Balkans and precipitated events that would lead to the formation of the Balkan League. Cover of the French periodical Le Petit Journal. Japanese General Kuroki Tamemoto and his staff were photographed with Western military attachés and war correspondent observers after the Battle of Shaho (1904). The most senior of the military attachés, Gen. Sir Ian Hamilton, center, stands with left hand in a coat pocket and a stick tucked under his right arm.